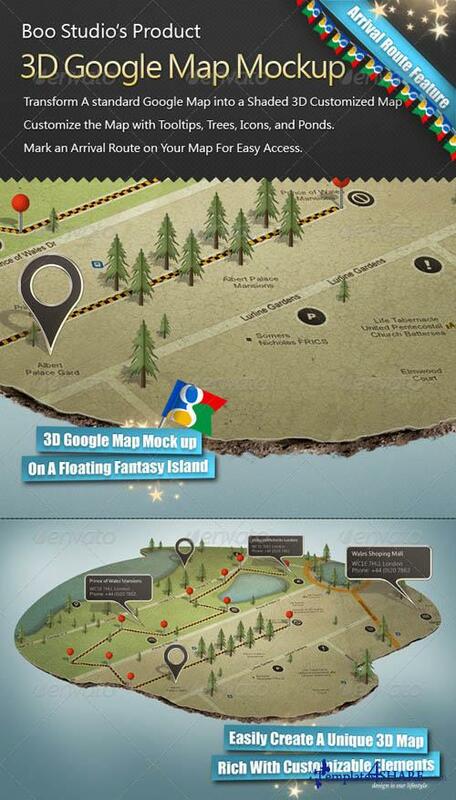 3D Google Map Mock up. Transform A standard Google Map into a Shaded 3D Customized Map Customize the Map with Tooltips, Trees, Icons, and Ponds. Mark an Arrival Route on Your Map For Easy Access. You can add any background or use transparent one. all textures are done automatically. simple instructions included..